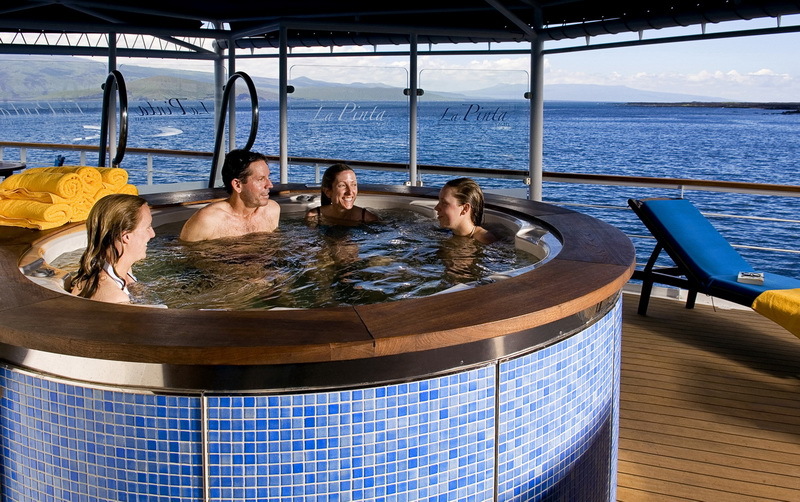 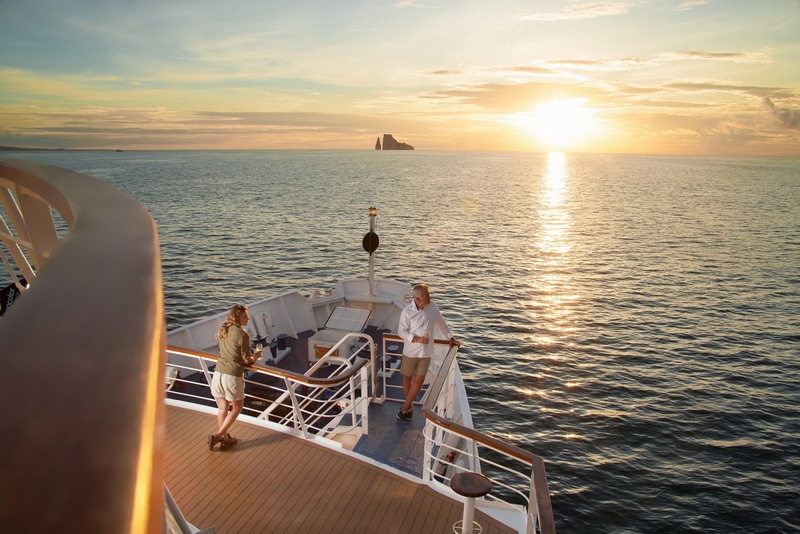 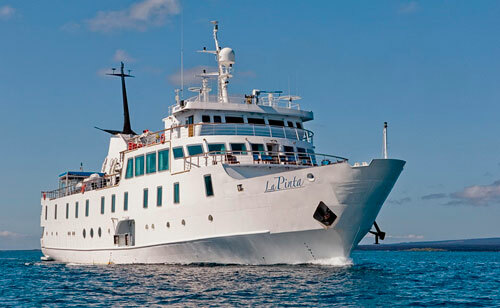 Yacht LA PINTA offers a relaxed yet lavish expedition atmosphere, with plush outside cabins; the highest standards of service; the very best international cuisine plus celebrated Ecuadorian dishes, and all the amenities that make the Galapagos Expedition a trip of a lifetime. 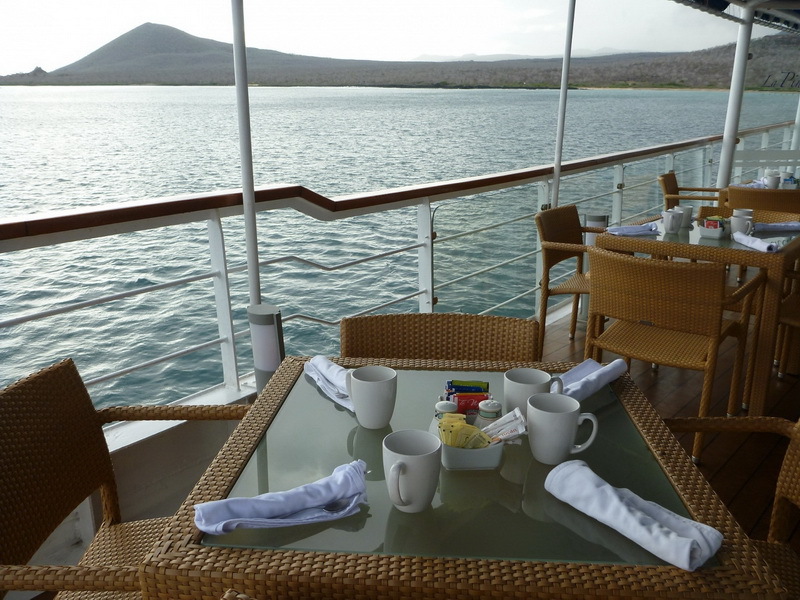 Our associates offer and expertly handle an environmentally friendly operation in the Galapagos National Park. 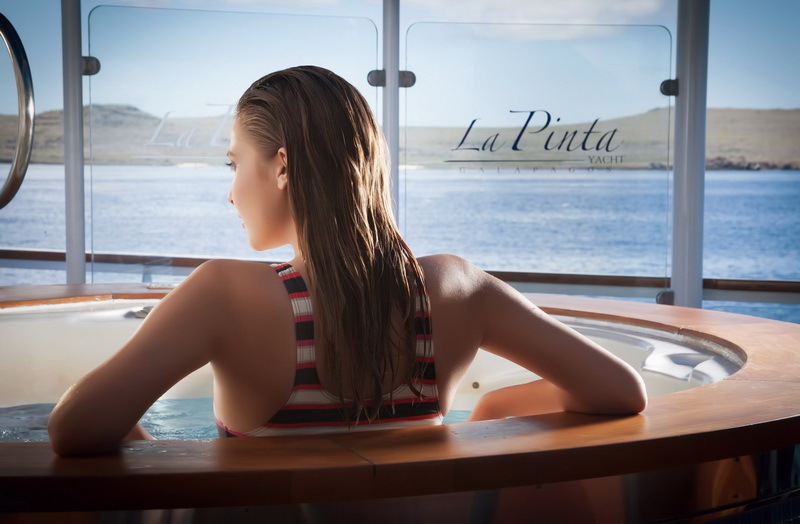 LA PINTA follows strict international standards in relation to safety at sea and the understanding of the unique environment of the archipelago, to support its conservation, taking all the precautions not to alter the integrity of the ecosystems. 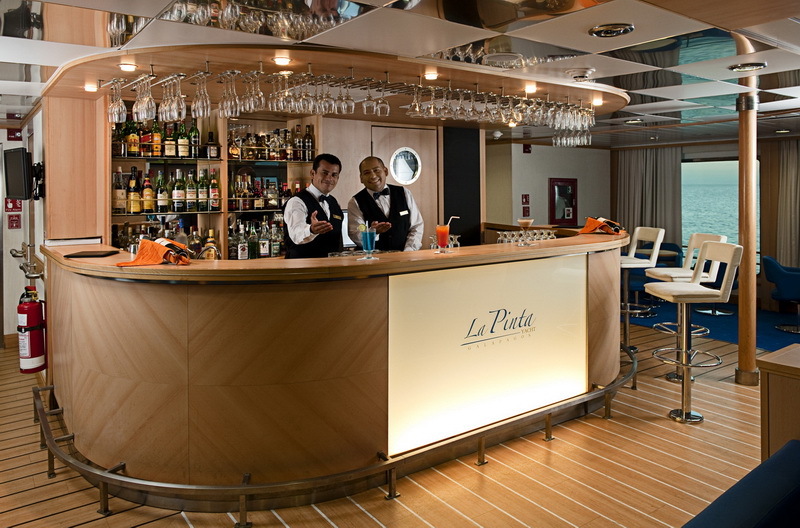 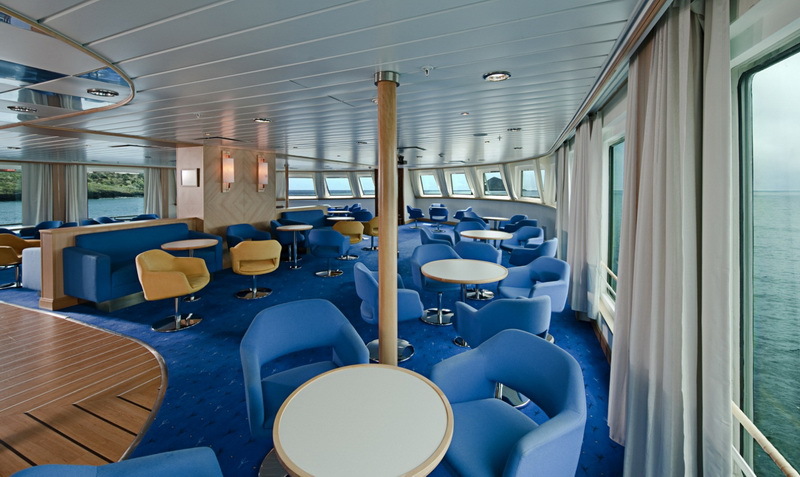 Spacious public areas in the Boat Deck include a large Observation Lounge and Bar, which can be used for outdoor dining; a smaller outside Sky Bar towards the stern, fore and aft observation decks, an exercise room, Jacuzzi and a well-stocked Natural History Library-Conference Room. 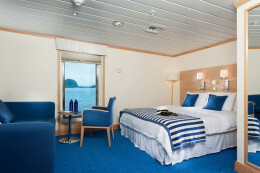 The Upper Deck occupies the middle of the vessel, with 20 comfortable double or twin-bedded staterooms, plus 4 triple cabins (the third person must be under 12), all with ocean view, private facilities, personal safe, individually controlled AC, fine linens and duvets and the added touches of a select contemporary decoration. 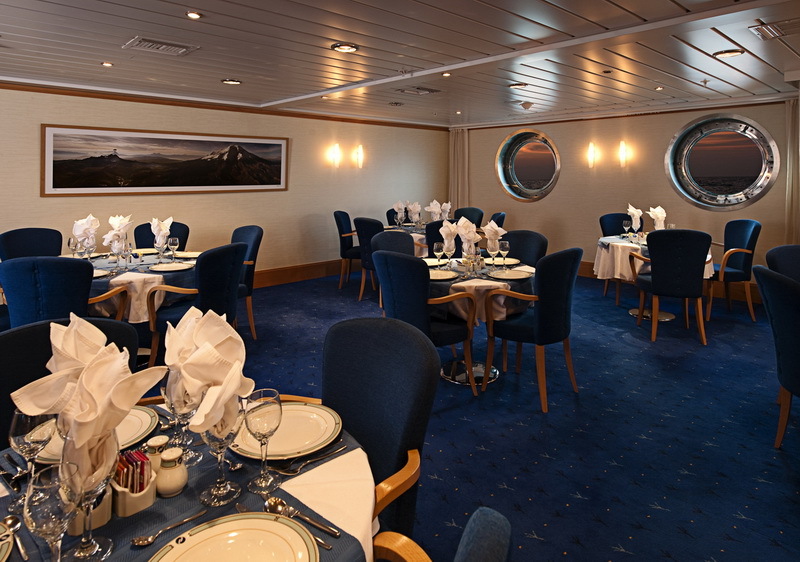 At the Main Deck is a window-lined Dining Room, with open seating and no formal dress requirements; the Reception Area, Boutique and Doctor’s Office. 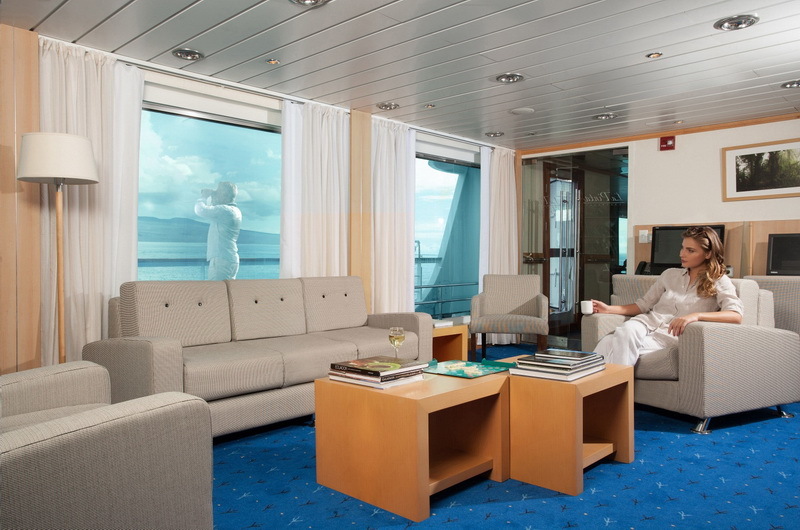 The Galley and crew quarters are also located in the Main Deck. 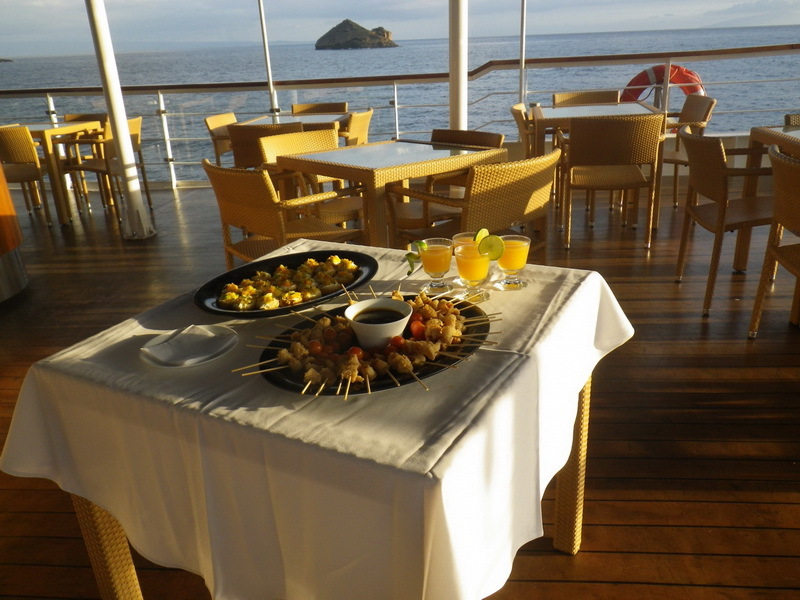 As one of Ecuador’s leading conservation organizations, Conservacion y Desarrollo developed the Smart Voyager sustainable tourism certification program, which awards its seal of approval to tour boat operators and hotels in Ecuador who meet a set of strict conservation standards for protecting the environment, wildlife and the well-being of workers and local communities. 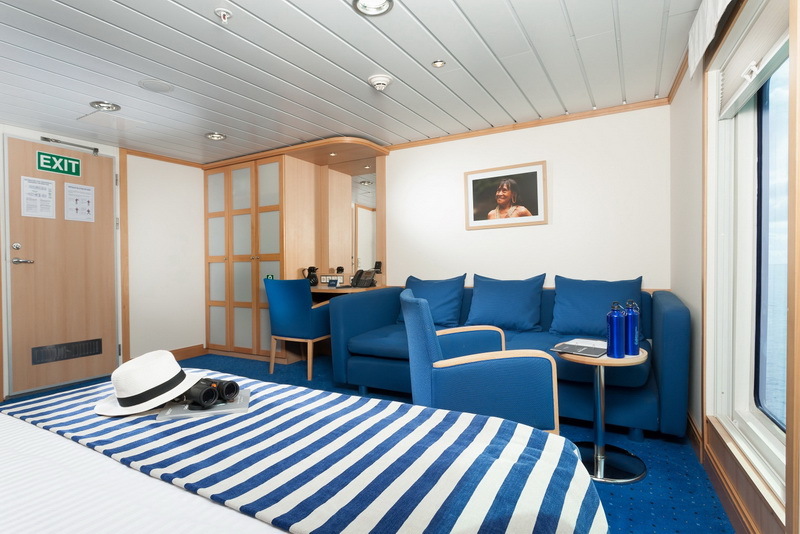 ✔ 24 cabins in total: 20 comfortable double or twin-bedded staterooms plus 4 triple cabins. 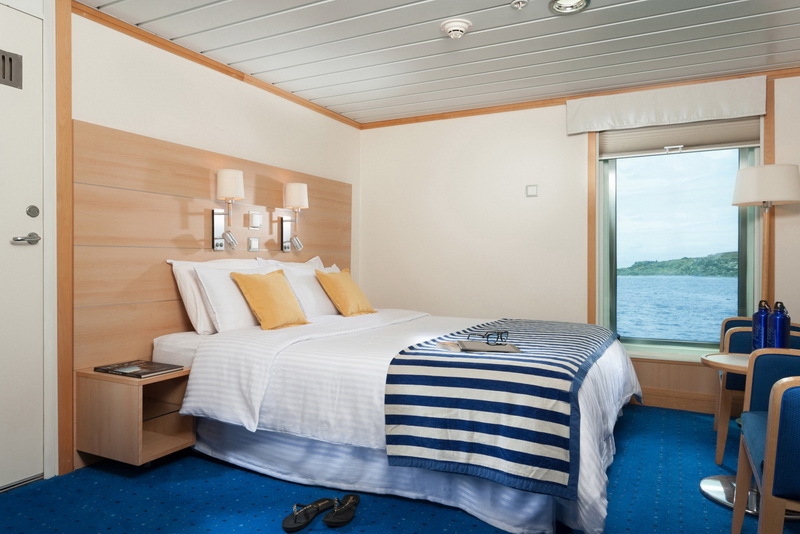 ✔ Twin beds can be converted to Queen size beds and 6 connecting cabins will be available for family accommodations. All cabins have ocean view, private facilities, personal safe, individually controlled AC, hair dryers, biodegradable bathroom amenities, telephone, fine linens and duvets and added touches of a select contemporary decoration. 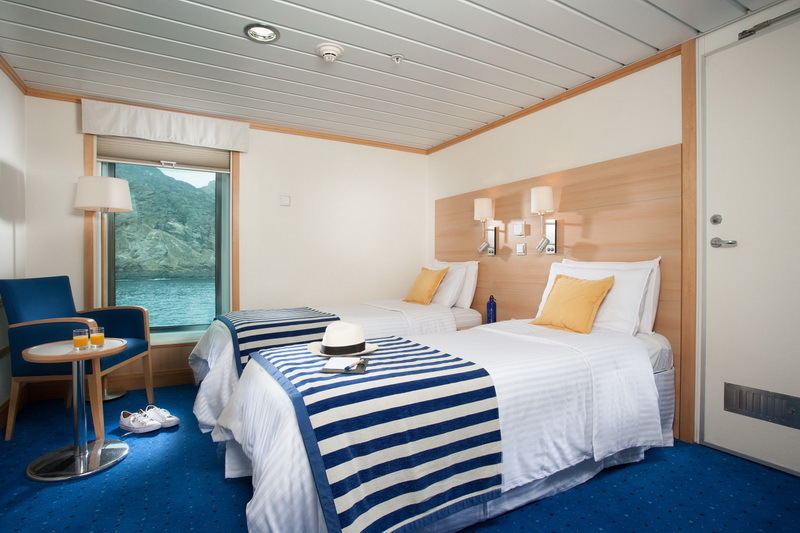 20 comfortable double or twin-bedded staterooms. 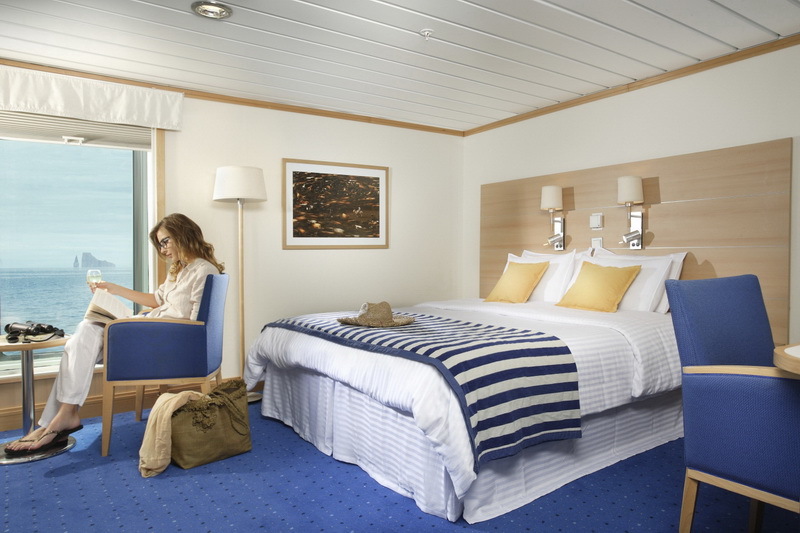 Twin beds can be converted to Queen size beds and 6 connecting cabins will be available for family accommodations. 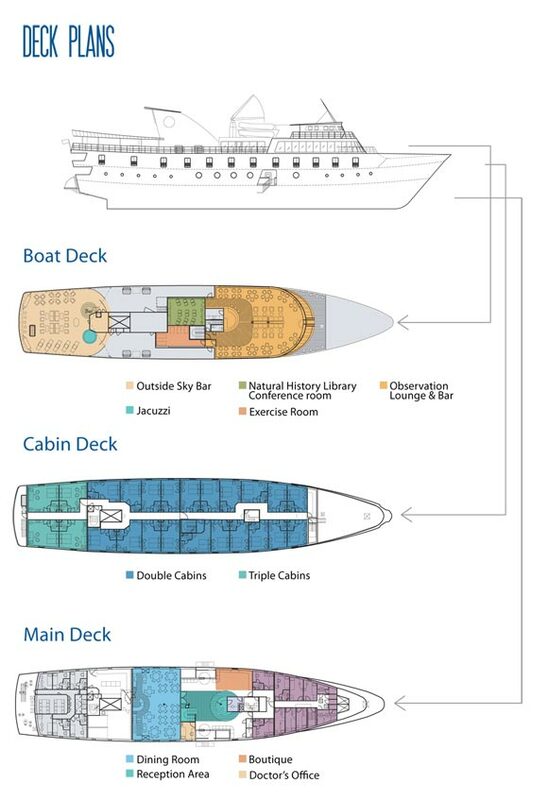 Cabins: 24 outside cabins, all similar, in the same deck. 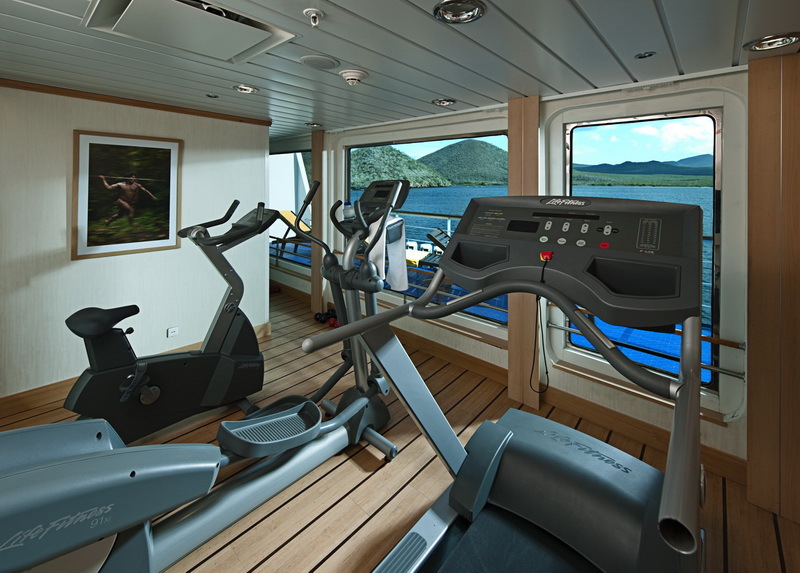 Approximate size 15 square meters (162 square feet).